351 shoes found. Page 1 of 18. Soft Leather; leather/rubber sole, buckle, no appliqués, round toeline, varnished effect, multicolour pattern, leather lining. Heel height 3.12 inches; Soft Leather; leather lining, two-tone pattern, laminated effect, round toeline, leather, no appliqués, wedge heel. Soft Leather; rubber cleated sole, two-tone pattern, logo, round toeline, laminated effect, bow detailing, fabric inner. Heel height 4.1 inches; Soft Leather; leather/rubber sole, buckle, no appliqués, round toeline, textured leather, solid colour, leather lining. Textile fibres, Soft Leather; logo, flat, two-tone, leather lining, leather, round toeline, rubber cleated sole. Textile fibres, Soft Leather; rubber cleated sole, round toeline, logo, flat, leather, two-tone, leather lining. Soft Leather, Textile fibres; rubber cleated sole, no appliqués, satin, solid colour, wrapping straps closure, laminated effect, round toeline. 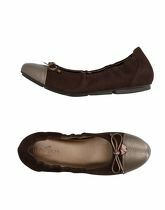 Soft Leather; LeatherContrasting applicationsSolid colourRound toelineRubber soleFlat. Soft Leather; rubber cleated sole, round toeline, logo, flat, calf hair, animal pattern, leather lining. 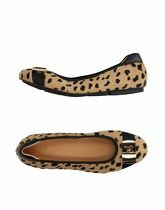 Soft Leather; round toeline, bow detailing, textured leather, two-tone pattern, laminated effect, logo, elasticised gores. Soft Leather, Textile fibres; fully lined, two-tone, logo, round toeline, varnished effect, bow-detailed, flat. brand belongs to the Italian group Tod’s, the beginnings of which go back to the 1920s. Tod’s was established by Dorino Della Valle and, like any Italian company producing footwear, was very successful. In the 1970’ the family footwear business was taken over by Dorino’s son, Diego Della Valle, who, in a short time, developed not only Tod’s but also separated three other brands from it: Fay, Roger Vivier and Hogan. Hogan was born in 1986 and initially produced sports footwear patterned on cricket shoes. In subsequent years, the company started to produce other, equally posh, lines of sports footwear, to which other types of footwear, apparel and accessories were added. In 2010, Hogan began cooperation with the world famous fashion designer, Karl Lagerfeld, who designed for it a limited spring-summer collection: sports shoes, cowboy boots, coat, jackets and two types of bags. The cooperation was only supposed to be a boost of energy and a temporary fresh breeze for Hogan, all the more reason, in the meantime, Lagerfeld announced that he would retire; however, he did the otherwise. It is almost certain that cooperating with Lagerfeld is always very effective – the collection designed by him for Hogan turned out to be super successful, and Diego Della Valle decided that there would be subsequent editions of shoes, apparel and accessories signed with the master’s name. 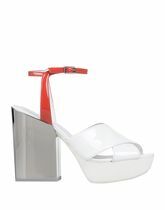 On this site you will find women's shoes in sizes from 2 to 10.5. There are 351 pairs of shoes starting with price of £52,00; 210 pairs from the whole collection are discounted at this moment. 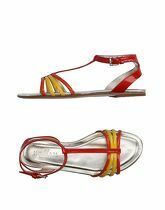 The most frequent shoes in this category are Sandals, Court Shoes, Flats and Trainers. There are 2650 brands, most of shoes comes from Office, New Look, Betty London, L' Autre Chose and Geox. 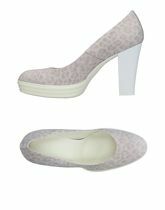 The shoes are available in different colours, mostly in Black, Silver, White, Grey and Pink.